@Melissa: Yeah, I should be more gracious to my elders. Remember when Durant made those 3 straight 3s? #Clippers erased that with 9-0 run since. 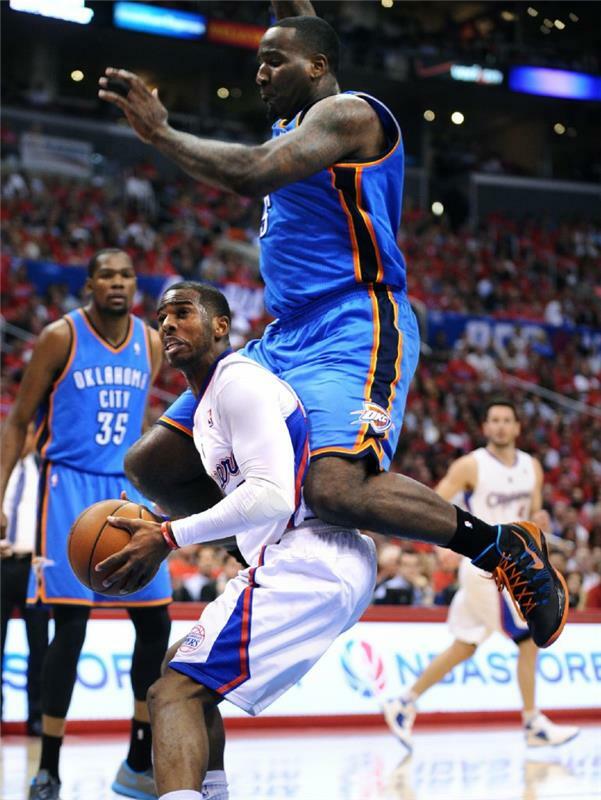 Timeout, Thunder. The Clippers have increased their lead to 14. Jordan with a dunk. It's been a while since we've seen that, and OKC calls a timeout as the Clipper lead moves back to 14. Great feed by Griffin, who has six assists to go with his 12 points, five boards and zero turnovers. By the way, Westbrook is scoreless from the field. Durant's shot is so soft, it looks like a cottonball in the air. It's a piece of art. Eric Pincus is sitting next to me. And he's singing. Help. Matt Barnes misses both free throws. 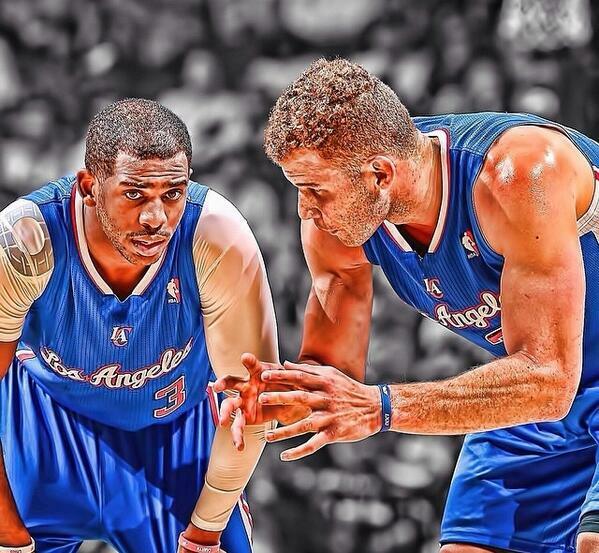 Clippers lead by 8 at halftime, 50-42. Barnes misses two free throws with 12 seconds left in the half but OKC can's score. LA is up 50-42. They have to be thrilled they're within eight when Westbrook hasn't appeared yet and the Thunder is shooting only 36%. 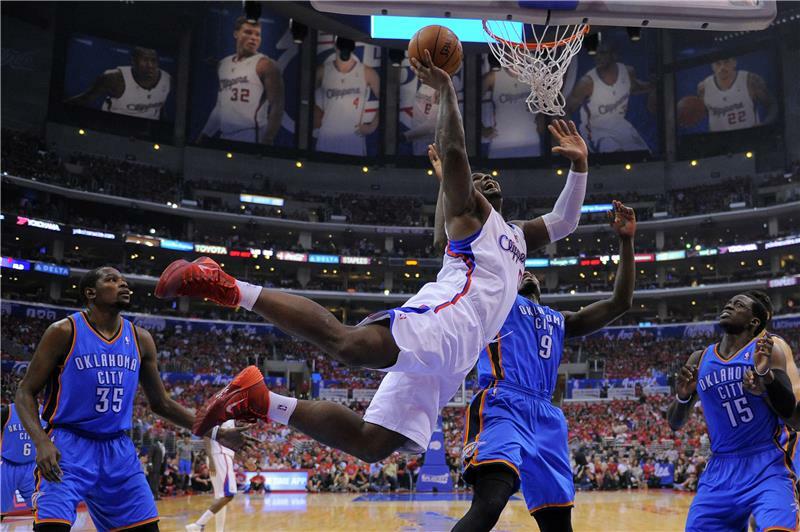 When was the last time you saw a shot of Big Baby Davis driving to the basket like this one? 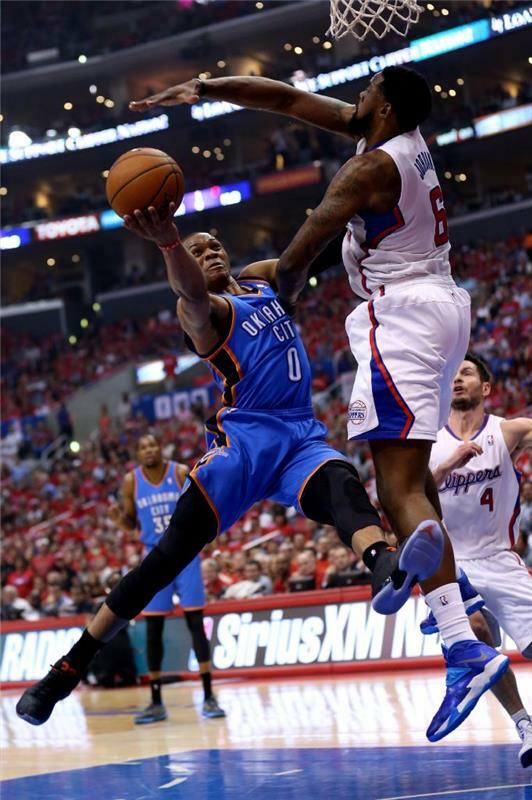 Russell Westbrook goes up for a shot against DeAndre Jordan. Halftime crew on ESPN voicing the same thought about this game, that Doc Rivers should be concerned that the Clippers' lead is only eight in a game they should be leading by twice that. In press room at halftime, no sign of anyone wearing a Team Shelly shirt..shortest lived franchise ever.. 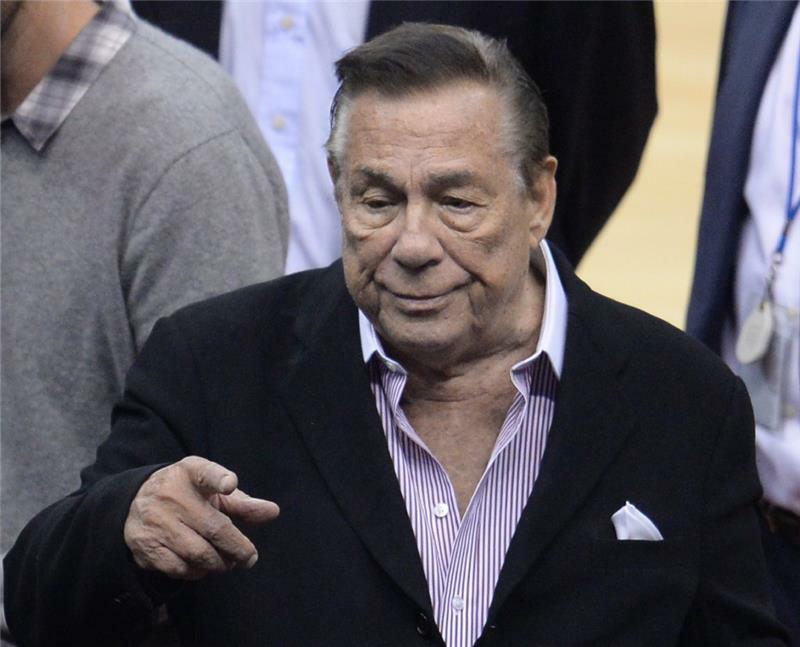 So, the Clippers have another 24 minutes of playing time before they'll know if they get to go to Oklahoma City for Game 6 or whether they'll suddenly have the time to have to respond to all the questions about the owner who shall go unmentioned. Griffin gets his first three-pointer of the playoffs. Nice drive by Redick, going with the left hand. Let's see how Durant responds. Oh, right, he scores on the second straight possession and draws the third foul on Jordan. Doubly effective. Matt Barnes short on a three-point attempt by what 2 ft? Barnes seems to have suddenly put a hitch in his outside shot, and it's not working. #okcthunder Last three Game 6's: Thunder beat Memphis (two weeks ago), Houston (close-out game, 2013) and Spurs (close-out game, 2012). Adams, who replaced Perkins after he got his fourth foul, gets a strong offensive rebound and, who else?, Durant hits another jumper to cut it to six.